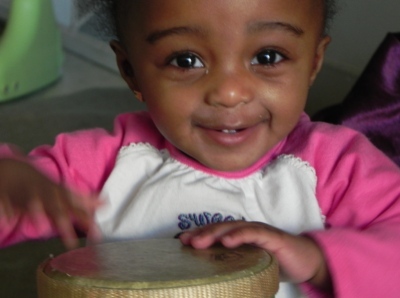 Every week we have scheduled music classes in our infants through pre-k classrooms. Ms. Misty shares her love of music with the children using sticks, bells, shakers, scarves and drums to explore rhythm. Classroom teachers participate to learn the songs and use them with the children throughout the week. Ms. Misty has a degree in music education and plays the flute with the Cape Girardeau Municipal Band as well as leading her church bell choir. She has attended music conferences and continues to develop her interest in music for early childhood education.